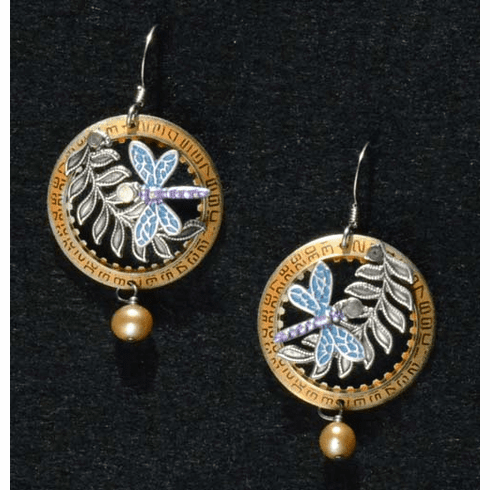 Dragonfly on Willow Earrings - Whimsically created on a date wheel, a variety of metals are used by the Floridian artist that create these fun earrings. Comfortable French wire for secure wearing. Adorned with a fresh water pearl. Measures 1-1/4" in length.